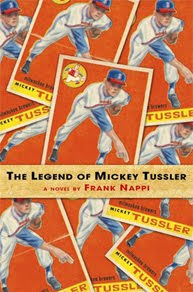 In my previous review of Frank Nappi's novel The Legend of Mickey Tussler, a coming-of-age story of a young autistic pitcher joining the Milwaukee Brewers in 1948, I mentioned that I would be glad to help with the inevitable film adaptation. That wasn't some grand leap on my part; I knew it had been optioned, but that's not surprising. Many novels get optioned, though few of those adaptations actually get made. Nappi's novel is one of them, although in its translation it has lost both the period setting and the trappings of Borchert Field. The modern-day "layton River Rats" have been substituted for the 1948 Milwaukee Brewers. Atlanta, GA (September 12, 2011) – gmc TV, America’s favorite channel for uplifting music and family entertainment, presents the GMC World Premiere Movie A Mile in His Shoes, starring Dean Cain and newcomer Luke Schroder in his debut role. Country music singer George Canyon also stars. 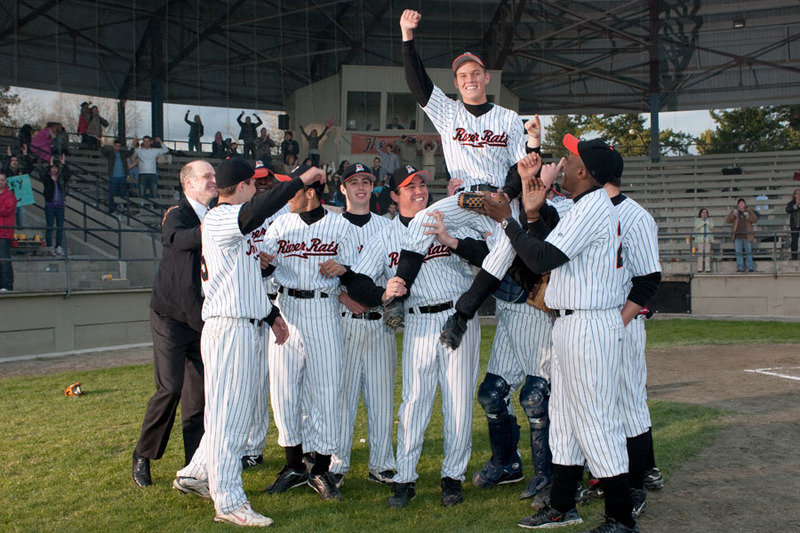 The movie is directed by William Dear (Angels in the Outfield, Harry and the Hendersons). Based on the critically-acclaimed book written by Frank Nappi, A Mile in His Shoes is the uplifting story of Mickey Tussler, a 17 year-old farm boy from Bargersville, Indiana with Asperger’s Syndrome and a killer fastball (Schroder), who is recruited by minor league manager Arthur "Murph" Murphy (Cain), to play for the Clayton River Rats, his struggling minor league baseball team. Murph is convinced Mickey has a gift, but his autism keeps him isolated from a world he attempts to understand. Caught between life at home with his overprotective father (Canyon) and life on the field, Mickey turns to his gift, the support of his teammates and Murph, who gives him the opportunity of a lifetime. Murph learns a few life lessons himself along the way, which help him to make peace with his family. Sounds like they kept the bones of Nappi's story, but dropped the period setting. Shame, as I thought its setting elevated and distinguished the novel. I'm not surprised that they fictionalized the team, but they could have kept it set in the 1940s and retained a lot of Nappi's mood. 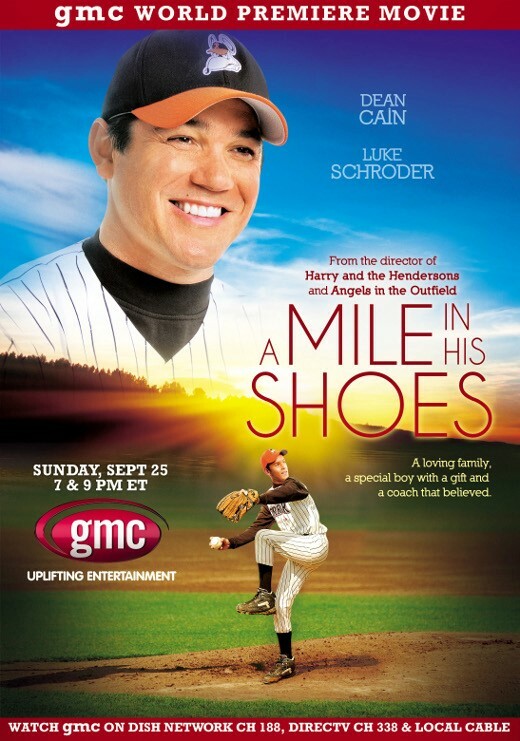 A Mile in His Shoes will air on gmc TV on Sunday, September 25 at 7 p.m. ET.